Comment: Current garage door is at least 25 years old. Tenant damaged door with a motorcycle. Now needs to be replaced. Track could also need to be repaired or replaced. Comment: I currently have a flip-up single garage door. I have purchased a solid wood carriage door (swing out) set to replace the flip-up door. I need someone to remove the current door and install the doors I have purchased. Comment: I need only a new opener installed on an existing garage door. The home is from the 1950's and the door is wood and in fair shape. Comment: I would like to add a single car or 1.5 car garage to my single story ranch home. It can be attached or not. Comment: 1950's brick/block garage that is too small to fit pickup. on a corner lot. 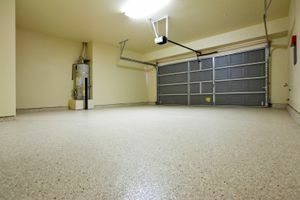 Want is a two car garage, but size and cost for bigger one car is ok. plenty of street parking or parking on drive way. 1 1/2 story garage might be good to have above room for office/man cave. S & P Construction Services, Inc.
Arlington Garage & Garage Door Services are rated 4.76 out of 5 based on 3,013 reviews of 29 pros. Not Looking for Garage & Garage Doors Contractors in Arlington, VA?